This press release was issued on April 22nd to coincide with the Supreme Court hearing for Treaty 8 Nations against the Site C Dam. The Treaty 8 Tribal Association is proud to announce the finding and confirmation of a 30,000 year old prehistoric horse bone found in the Peace River Valley. The Peace River Valley is a very important cultural landscape to the Treaty 8 First Nations as it acts as a school, church, pharmacy and grocery store for the continued practice of their Treaty Rights and way of life. The Valley and its significance to the Treaty 8 First Nations is irreplaceable and the construction of the Site C Dam would be the final nail in the coffin to its already fragile ecosystem, which supports the First Nation people who have lived in this region for at least 500 generations. The Peace River Valley is home to a tremendous number of First Nations archaeological deposits and cultural sites that date back to the end of the last ice age. These values are complemented by diverse and prolific paleontological resources found there as well. In 2014, Shawn Bigfoot, a Prophet River First Nation member, found the horse bone around a gravel pit, along the banks of Peace River. At first, he was unsure of what he found. Diane Bigfoot, Shawn’s mother says, “After Shawn found the bone, he contacted me and told me of his find; he said it looks very old. I decided to take the bone to Treaty 8 and see if we could get it identified. We just did not realize at the time, we were holding a piece of history 30,000 years old.” The horse would have been frequenting the Peace River Valley around the beginning of the last ice age. 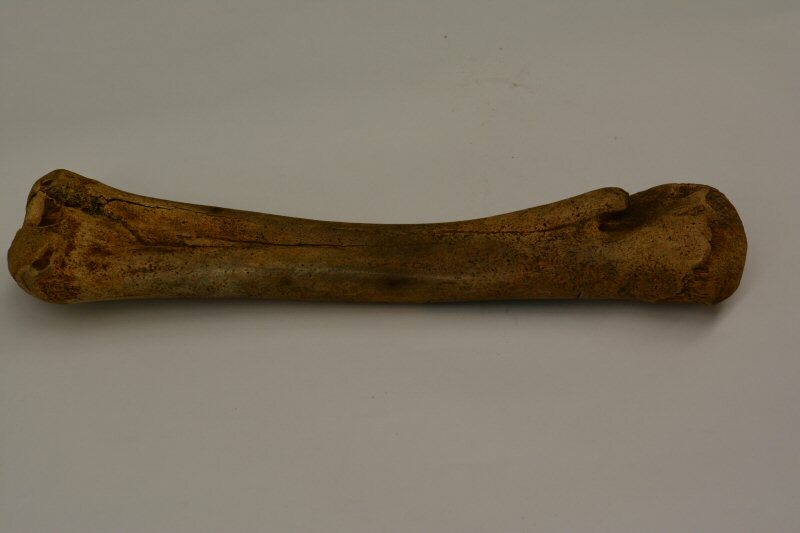 Confirmation of the age of the bone and its species of origin, through radio carbon dating and analysis, was completed with the assistance of archaeologist Dr. Jon Driver from Simon Fraser University. It’s no wonder why so many Treaty 8 First Nations want to stop the Site C dam! The horse bone, being one example, is a momentous symbol of the cultural integrity of the Valley, which resonates in the lives of so many people. On April 23rd at the Supreme Court of British Columbia in downtown Vancouver, the communities of Prophet River First Nation, West Moberly First Nations and McLeod Lake Indian Band are showing their opposition and solidarity by taking Site C to court to stop it once and for all!